Phil Shen recently contacted JCH about contributing to the site. And when I asked him what he wanted to share, it was a guide to Polaroid cameras. Well, that is something that I want to read, and I hope you do too. You saw some cool Polaroid photos online and you’re wondering how to start experimenting with the magic of instant film. 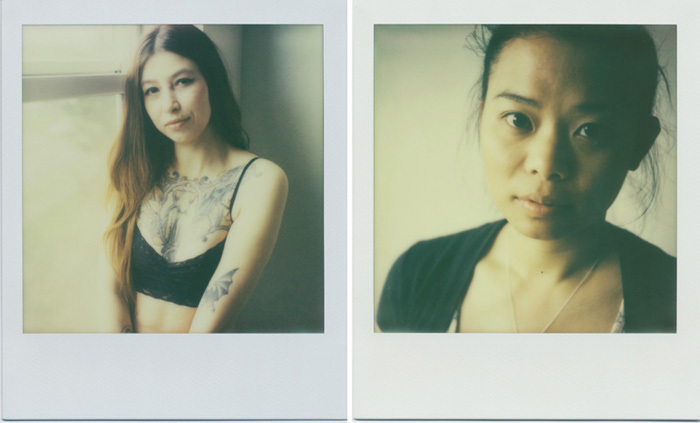 I got hooked when I saw some amazing raw portraits being taken with Polaroid cameras. Here, I’ll break down the quickest and simplest ways to start making your own analog keepsakes. The Polaroid cameras that are still useable today are divided into two categories: the integral route or the peel-apart route. First, I’ll focus on the integral route, because that’s most people’s gateway to Polaroid addiction. Most people today are thinking of integral film cameras when they think “Polaroid.” They’re the classic, varied collection of cameras that eject a photo from the front after taking a picture (you can see these photos taped all over some restaurants still). Integral film integrates the developing and fixing chemicals inside each individual film sheet. 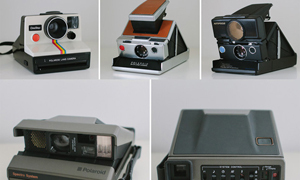 From 1972 until 2008, Polaroid manufactured integral film for their cameras. Since then, the amazing folks of the Impossible Project have taken up the mantle and released Polaroid-camera-compatible films of their own. Essentially three categories of cameras fall under the integral umbrella. The first camera I’ll cover is one of the easiest and cheapest ways to start making Polaroid magic. The 600 series cameras, named after the 600 film they used, mostly consist of plastic-bodied cameras with a fold-up flash. These cameras are everywhere at your local flea market or thrift store, and they’re really cheap. We regularly find One Step Polaroid cameras for $5 or less at our flea markets. 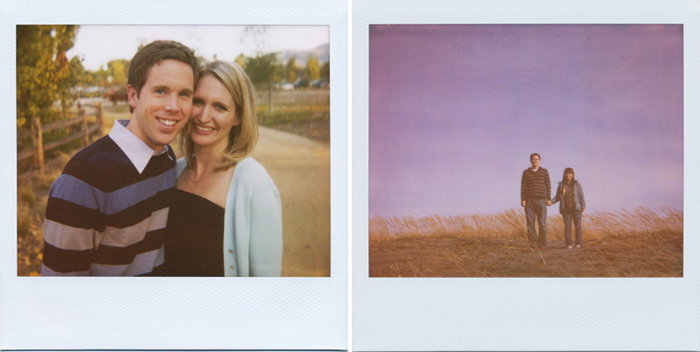 The One Step is a great starting point for an old instant camera. The One Step Close Up variants contain built-in close-up lenses – just a plastic lens that slides in front of the main lens – that let you focus as close as two feet, versus most Polaroids’ standard three feet. The Impossible Project film I recommend using with these types of cameras is called PX 680. After many iterations and experimentation, their newest batch of films are much easier to use and produce encouraging results. Make sure to pick up the newest generation Color Protection type film; they have more forgiveness in regards to immediate shielding from light after the film is exposed and ejected (the Impossible Project has great instructions on how to use their films). Left: Polaroid One Step 600 Flash Close-Up and Polaroid Sun 600. If you’re looking to get more professional results with integral film, the legendary SX-70 is where it’s at (watch this Eames video to really get hooked). Built from 1972 to 1981, Polaroid’s original integral camera is a collectible that will cost a lot more than a 600 series camera. They’re worth it. The SX-70 is a folding SLR, so your composition will be spot-on, and with focusing down to 10 inches, you can take much tighter portraits. Polaroid released many variants of the SX-70; later iterations had such modern comforts as auto-focus, and plastic-body variants took the SX-70 or later Time-Zero film as well. But the original brown leather SX-70 is a thing of beauty. Impossible Project PX 70 film works great with SX-70s and any older plastic Polaroid camera, which have a great vintage look. If you’re more into functional shooting than collecting, though, my recommendation is to start with the 600 cameras or my top choice, the Spectra line (keep reading for my thoughts on these). Most models have built-in flashes and more features, and because 600 or Spectra cameras are more plentiful and cheaper than SX-70s, you won’t feel too bad if you drop one. The Polaroid Spectra, the last category of integral cameras, often gets forgotten in the shuffle, and I’m not sure why. Spectra cameras have been my personal go-to Polaroids for the past few years. 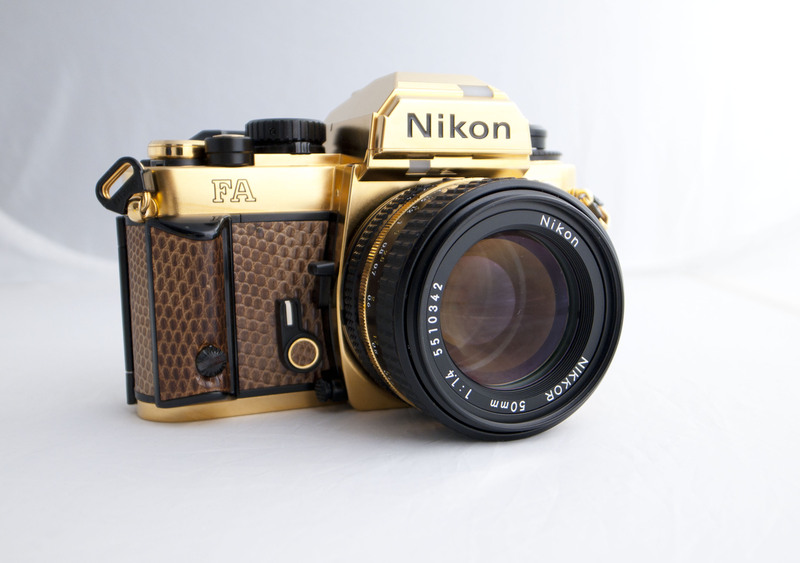 They’re great cameras, much more affordable than SX-70 cameras, and they produce wonderful images. Spectra cameras are my top choice for starting with Polaroid. Built in the early 1980s, Spectra cameras are very durable, portable and compact, with the more modern trimmings that we’ve grown accustomed to. The standard Spectra model has auto-focus as close as two feet, an LCD display in the viewfinder indicating the distance, a self-timer, a tripod socket, and an option to turn off the flash. The Spectra also provided a sharper lens than your standard 600 camera. You can even use the self-timer to take multiple exposures. When you flip the self-timer switch, the shutter will fire in about 12 seconds, but the film won’t eject unless you flip the switch back. Just close the camera first, then flip the switch back to the original position, open the camera back up, shoot the second exposure, the film will eject and you will have a double exposure. Spectra (or Image) film was developed by Polaroid as an alternative to 600 film. Instead of a square image, Spectra gives you a wider, more rectangular image area of 9.2 x 7.3 cm., which gives you freedom to experiment with different crops. 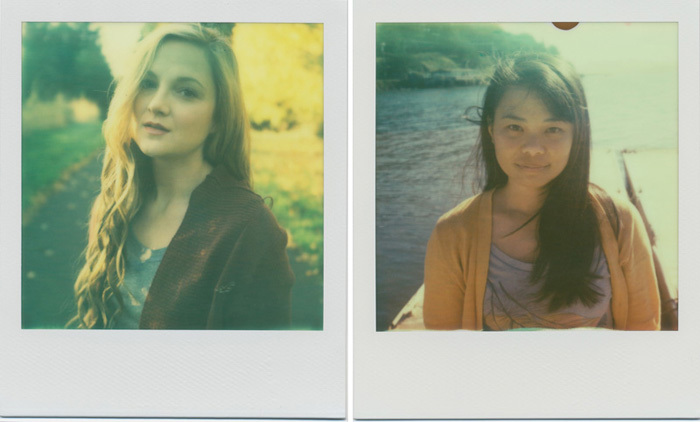 And thank goodness, The Impossible Project makes a Spectra-type film, PZ 680! All shot with a Polaroid Spectra on expired Polaroid Spectra film. Integral cameras didn’t have batteries; the batteries were built into the cartridge themselves. When you’re done with your first batch of integral film, keep the cartridge to use as a testing cartridge. Next time you go Polaroid camera-hunting, carry a used cartridge with you to ensure the cameras you find still function. Just pop the cartridge in and hit the shutter to make sure it’s good to go. Spontaneity is the real fun behind Polaroid cameras – never knowing exactly what you’re going to get. Integral films are a great way to start with Polaroid. You hit the shutter, the film ejects, and the fun begins as you watch an image magically appear. No fuss, no mess. There’s something wonderful about holding a real print in your hand! I was devastated when Polaroid announced in 2008 that it would stop manufacturing film, so I kept as many boxes of Polaroid film as I could. I exposed my last real expired Polaroid photograph in early April, 2013. I’m excited to continue my experimentation with Polaroid cameras with the new generation of films from the Impossible team. 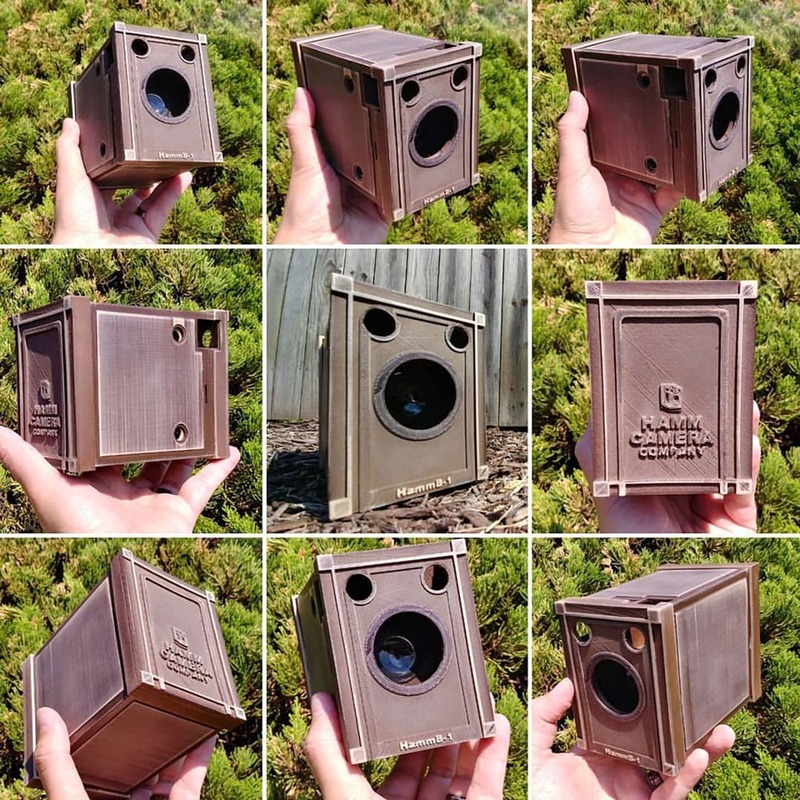 You may not get the same results from the original Polaroid film as you see in some of the examples above, but Impossible Project films are getting better and better every year, and it gives everyone an opportunity to continue to use these great cameras. In Part II, we’re going way back to discuss vintage Polaroid cameras, like the Land Camera, that take the new Fuji peel-apart film. All above shot with an SX-70 Autofocus and Impossible Project PX 70 Color Protection film. Along with his fiancée Kim, Phil Shen is a professional portrait and food photographer based in the Bay Area. He always makes sure to bring a Polaroid camera to every shoot. A big thanks to Phil for sharing this piece with us. I must admit that I was a bit clueless when it came to Polaroid cameras before I read this, but I feel a lot more secure now. I am really looking forward to part 2. I own polaroid 600, land 100 and just today I bought sx-70 and after reading your article, i’m definitely buying a spectra. I think the one thing the author doesn’t mention is that the Impossible colour film is not truly instant. It takes 30 minutes for your image to develop. I have a 600 but did not really see the point of shooting expensive film in a cheap camera and then waiting half an hour for the image. No slag against Impossible, I’m a huge fan of what they are doing but that is a deal killer for me. I recommend waiting for part 2 of this article: the Fuji peel apart film is cheaper, faster and the quality is exponentially better. Some very cool cameras too. not just the matter of the instantaneous development, but it should be mentioned that the impossible project film is very temperamental – and light sensitive after ejected. however the impossible people do a pretty good job of giving buyers a run down of their films ‘features’ – i miss original polaroid films more robust nature and quicker development, though it seems that impossible has been working to better their products with every round. Many thanks for this article and looking forward very much to part 2. I love the Spectra! Especially the double exposures. I’m only just starting to use it again though – at that price I can’t really shoot at will….. I adore my polaroid 110B land camera. I used it recently at a friends wedding (although no pictures to show for it because I gave all the pictures away). It was also featured on this website some time ago (#384). Although admittedly, outside of weddings I primarily use it for 4×5 film. nice article. i much prefer fuji instax though just cus i havent gotten the best results even with the new impossible project films. if they are able to improve it more, i would love to buy it and shoot it. its a shame polaroid doesnt make film anymore. You forgot the SLR 680/690! One of the top integral cameras it is an SLR modeled like the SX-70 that utilizes the far more versatile 600 film with a built in flash. You can call me a dedicated, but frustrated, user of instant integral film. The first camera I ever owned was a Polaroid SX-70 autofocus camera. All my pocket money went on film and the occasional flash bar. I could afford only 10 shots per week. That gave me discipline. It made me slow down, pick a subject, environment, light and set up the shot. For me it was anything but ‘instant’. The feedback however, was instant. It was a great teacher. 90% of all my images came out perfectly. With the demise of Polaroid, all that changed. I have recently been shooting a lot of Fuji Instax. My daughter and I each have two Instax Mini Cameras. Hers is an early model. 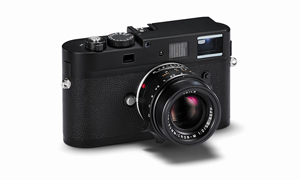 Mine is a Piano Black, a smaller model, sleekly designed, with the option to over or under expose by a stop. This has a big effect on the look of the picture. I also have a Instax Wide, a much better camera that is sharper than the poor image quality of the Instax Mini cameras. My favourite Instax Camera is the Lomo LC-Wide with an Instax back. This actually takes pretty sharp images, sharper than Fuji’s own cameras. It only uses the small Instax Mini format. For me, the worst part of Instax film is the limited dynamic range. Highlights or shadows are usually lost. The format is awkwardly rectangular. For me, only the classic square format will look right. If they made film that looked right I would buy it even if it didn’t work in Polaroid cameras. I’ll even accept the dynamic range and odd colours. The colours are over saturated and don’t have the Polaroid look. I even tried that god-awful Polaroid Pogo Film. It comes out looking like the thermal prints that I used to get from the printer than came with my Casio QV-10A in 1995. After half a pack, I gave away my printer and all the paper that I had pre-bought. My current photographic mentor has an extensive collection of Polaroid cameras. He bought 5 packs of very expensive Impossible Project film and, shaking with anticipation shot them expecting true Polaroid goodness. They were all highly defective. The exposure and colours were off. It was undersaturated and almost every image had a big brown splurge in it like a sewage leak under the plastic. He complained about this to Impossible only to be told that Impossible film was supposed to be defective and no refund would be forthcoming. I know the folks at the Impossible Project have taken all the criticism they get badly. They talk about it being soul destroying. In the meantime, all I see is silly gold or black framed editions of crap film. They say that the old chemicals are no longer legal for environmental problems and that’s why they have dodgy chemistry. I don’t get why Instax can make a light-stable image with decent quality control and the geniuses at Impossible Project cannot. Recently I mentioned this to Impossible on twitter. they told me that recent films are much improved and the QC and exposure problems are all but fixed. They even claim that the stupid Frog Tongue (TM Impossible Project) isn’t necessary anymore. They kindly offered me a sample pack and I will test that, but I am less than hopeful. Until Impossible Project sorts out their QC and chemistry, I fear all these cameras are nothing but expensive junk. I guess I ll start to use Polaroids now. Thanks for the great info (part I and II). I started my photographic adventure out of a vague souvenir of the smell and sound of the mechanics on Instant Polaroids. Found my first, sec, third, fourth and so on at a flea market… and the adventure keeps going. True, the impossible film was not much worth it for its price/quality, despite it I decided to buy a recent color 600type and to my surprise it came very good, vivid colors and no need of much light coverage, although developing time still needed. I tested this on a party where everyone there pose, awaited to see it and was all blue… I left it for ruined and put it aside (didn’t cover it). Next time I looked at it, it was fully developed! I also own a Fuji Instax and now awaiting my very first Polaroid Land 210 for double exposure fun!! Greetings from Fondue-land. Nice site and thanks for all the useful info. After many years away from film I decided to pick up a medium format camera w/ a Polaroid back – Mamiya Unversal Press. Just got finished wasting 4 packs of Polaroid film. Was able to get a few images out of the FP-100c (12-2015 expire) but it jammed so often that many, many unexposed prints got partially exposed when clearing the jams. The FP-3000B (06-2105 expire) was a complete bust. All white…at 15 seconds, 20 seconds, 25 second, 30 seconds. All inside at 68 degrees and spot metered at 3000 to 32000 ASA. Not giving up yet but far from a happy camper. Any place you can point me is appreciated. Thanks. I’m a huge Polaroid fan. I have two SX-70 Sonar One Steps, and an SLR690. Along with a couple box cameras. Need to grab a Spectra soon. I’ll also be getting a 360 Land Camera soon. All the bad talk of The Impossible Project film should be corrected. Their color films were just updated for far better color and saturation (though it still needs to be shielded from light) and i believe faster development. Their B&W gen2 films are outstanding. 5 min development times and high contrast. Also, their Duochrome Black and Yellow film is among my faves. Faster development than B&W film. They’ve come a long way since just a year ago. Their only big hurtle now seems to be the light sensitivity of their color film and development times. The prices could be cheaper, but eh, what can ya do! my first pack failed to, so i did a little research film on the net & found the spring in the polaroid back was to strong for the fujifilm so i adjusted it & the film no longer jammed. but the expired film did still have a brown colour cast.